Gov. 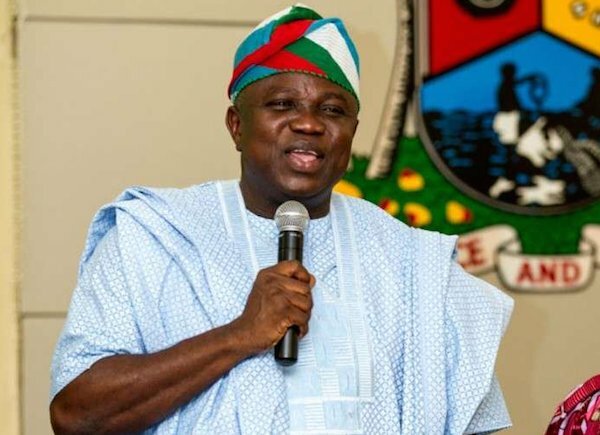 Akinwunmi Ambode of Lagos State, on Monday, urged politicians to embrace the spirit of sportsmanship in the coming general elections. Ambode spoke on Monday at the Lagos House in Alausa, Ikeja after receiving the Torch of Unity to herald the forthcoming 19th National Sports Festival coming up in Abuja from Dec 6 to Dec. 16. He said that beyond winning at the polls, the real essence of the exercise was to create a stronger bond and cohesion among Nigerians. The governor said like sports where winners and losers would emerge after every competition, those vying for several positions in next yearâ€™s elections must embrace that mindset. â€œJust like any other competition, we are in a period of campaign and election that is coming; it is competitive, but this is unlike national sports where everybody comes with the spirit of unity, and we believe strongly that our politicians should emulate our sportsmen and women. â€œWe should be able to come with the spirit of sportsmanship; there would be winners and losers, but in participating, we are creating that bond and cohesion amongst ourselves,â€™â€™ he said. Ambode said he was glad that the festival, after the last edition hosted by Lagos in 2012, was staging a grand comeback. He said that sports remained a veritable tool to engender the unity and cohesion the nation actually needs, especially in the political season. The governor said the state would send a strong contingent of athletes and coaches to the festival, assuring that representatives of the state would be given adequate support to excel at the games. â€œIt is my pleasure to receive the festival torch of unity, and this signals the commencement of the 19th National Sports Festival that will take place in Abuja. â€œJust like what we have been told, the last National Sports Festival was held here in Lagos six years ago, and being the last host, this is the last point of call before the torch goes back to Abuja. â€œWe have a very strong contingent that we are sending to the festival because we believe strongly that sports is a veritable tool that we can use to command the unity and the cohesion that this nation actually needs at this time. â€œI believe strongly that we are not just supporting alone, we believe that all the laurels and winning positions would be taken by Lagos State. â€œOn behalf of all our sportsmen and women, I want to encourage them and assure that we would make their entire stay in Abuja comfortable,â€ Ambode said. Also, Chairman, Lagos State Sports Commission, Mr Kweku Tandor, said Lagos State would be represented at the festival by 442 male and female athletes, 81 coaches and 50 other officials. He said the contingent from Lagos would be made up of athletes that had been training and taking part in state-organised competitions over the years. Tandor said that it would be profitable on the long run, rather than looking for foreign-based professionals. â€œOne of the things that we have refused to do in Lagos is to go all over the world and start looking for athletes to represent us. â€œFor us, we see the festival not just as a competition, but we see it as a developmental tool and it is for us, a measure of the work that we have been doing over the years in developing our athletes,â€ he said. Earlier, South West Zonal Coordinator, National Sports Festival, Mr Olufemi Ajao, who presented the Torch of Unity to the governor, thanked him for according them hospitality. He said that he was hopeful that the state would host the festival again soon. â€œThe torch has been going round the country; it has been to the 36 states and Abuja. â€œLagos being the host of the last Sports Festival, the torch has to leave Lagos for Abuja straight away,â€ he said.